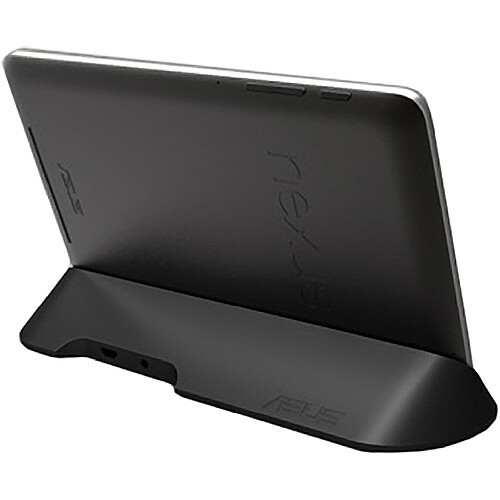 Last month, pre-orders for the official Nexus 7 dock by ASUS went live, with an unknown shipping date. Now, B&H Photo as well as Excalibur PC are showing shipping estimates of January 10th and Janury 6th, respectively. It’s also expected to arrive in Europe a little later this month. The $39.99 accessory easily allows users to dock their Nexus 7 in landscape orientation. It features a micro-USB port for charging and syncing, and a 3.5mm headset port for audio output.